A Gugulethu pensioner is at her wits end after receiving a municipal bill of about a million rands for rates and services. Nancy Magobolo,73, has been sitting with the bill for two months now, and has not the slightest idea how to settle it. When City Vision visited gogo Nancy at her home in Dora Tamana Street (NY89), she said she was struggling to make ends meet as she relies on a government pension to survive. The house previously belonged to her parents, who died in the early 1990s and they never received the title deed from the City of Cape Town. She would pay R20 per month but was later told to pay R700 which she couldn’t afford and made arrangements to pay R200. “I hadn’t received any municipal bill letter for a while, and then at the end of August I received this(bill) asking me to pay more than a million. I was shocked, why such a high bill all a of a sudden, she asked. After receiving the bill, she visited the municipal offices to make enquires, and instead about the bill and was met by hostile staff. “They asked me why I let it(the bill) to get where it is now, and I told them that I didn’t receive any bill until this one. I asked them what I should do since I could not afford to pay this but they offered no assistance,” she said. Magobolo said a certain Mr Walters hadv helped her apply for the indigent grant as she failed to keep up with the rent. “He helped me with the forms and a few days later I received an SMS that congratulated me for receiving indigent grant. 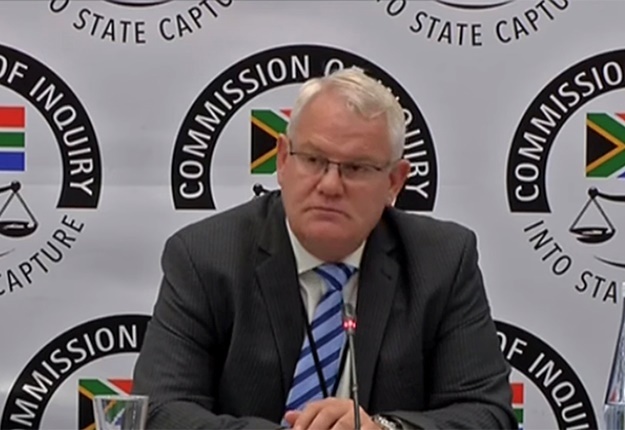 The City’s Mayco member for Finance, Johan van der Merwe said that they have identified that Magobolo’s home would benefit from the indigent leaks project.